I love to eat, that’s no secret. I love all types of food, I love ordering food, I love trying out new restaurants. I get giddy at the thought of a new place opening up. My waistline, on the other hand, hates it. As a matter of fact, my jeans, work pants, shorts, skirts, and everything and anything that hugs my middle has mutinied against me. My stomach hates it so much, that it rolls over the waist bands of my clothes, trying to escape. I’ve been in denial for years, buying size after size of larger clothing, but not anymore. I have come to the sad conclusion that my life style is no longer sustainable. I am not a fan nor a promoter of fad diets. I have always been a curvy girl, and I love my body and everything about it. But I also love my health. I started writing this blog as a tribute to my Dad. He was a lover of good food and drink. 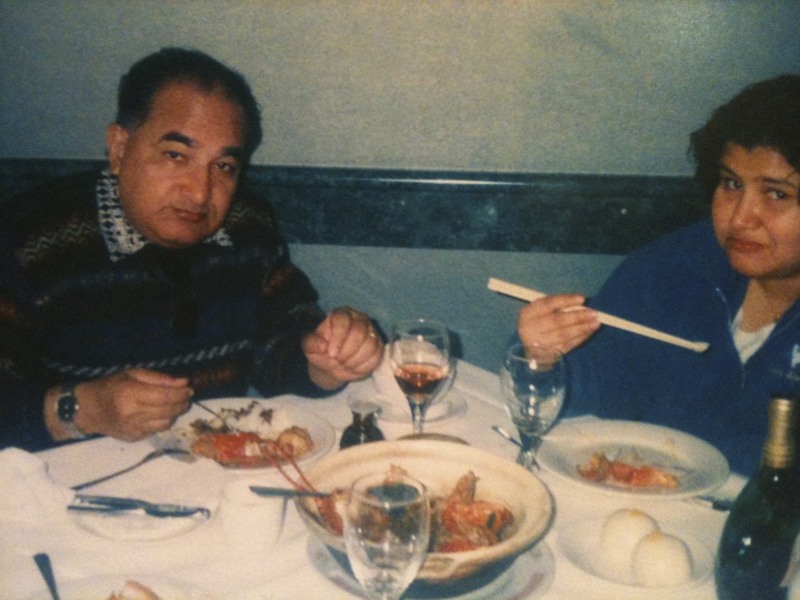 All the good memories I have of my father somehow involve food. Some of the best conversations we had were around a fantastic meal and an even better bottle of wine. I guess, after he died I thought if I continued to eat the way he did, I could still keep his memory alive in a way? My Father died a young man. He was 56 years old. He died of a heart attack. He had three smaller attacks before the one that killed him. Doctor after doctor told him to get healthy, to stop drinking, to quit eating the way he did. And he would try. For a time. I’ve just turned 40. I love my Dad, but I don’t want to die the way he did. So that’s why, I’m giving the Paleo Diet a try. My husband @jakesheridan is a big advocate of this diet. And living with the guy, I’ve been a witness to his weight struggles. Jake has always been a slim man, but throughout the years, he’s put on a few pounds. He started working out about a year ago, and he kinda went overboard: hardly eating, lots of protein powders, smoothies, working out 3-4 hours a day. Crazy stuff. Sure, he lost a ton of weight, but the pounds would always come back, and a few months later, he would be back to square one. So when he started the Paleo Diet, I chalked it up to another crazy diet. But then something amazing happened. He started eating again, and good stuff. Delicious stuff. The kitchen smelled of spices, and steak and chicken. He started using olive oil and coconut oil. There were meals and snacks and lots of variety. So while here I am, eating tiny lean cuisines between restaurant reviews and gaining a pound a minute, he’s eating his body weight daily and losing weight. That’s right, Jake started losing weight. And not just pounds. Body fat. Jake is now working out, 45min -1 hour a day four times a week. Gone are the crazy smoothies and powders. Jake looks and is healthy. So after much soul searching and thought, I’ve decided to join my crazy husband on this quest. Don’t worry, this blog will still have tons of restaurant reviews. But I am starting a new section of Paleo recipes and health and exercise. I will record my challenges and successes, and I will be brutally honest. Because, the best tribute to my Dad’s memory is that I make it past 56. Good luck with your weight loss and congratulations to your husband for keeping the weight off. I find to keep the weight off is to eat good tasting real food and practice portion control. What a wonderful tribute to your dad Mary. Best of luck and enjoy the journey. Looking for ward to more posts on this new endeavour. Good luck Mary! Keep us posted on how this works out for you. I think I need to start looking into some sort of diet like that too! The main thing is exercising daily. Going to start working on that first!